I had the opportunity to play Neverending Nightmare and meet its creator Matt Gilgenbach at PAX East, 2013. The game was sequestered in the indie-developer room and right next to the bustling Occulus Rift demo station. The game was explained to me as a psychological horror game featuring unqiue visual textures and minimalist user interface to promote immersion in the game (none of those pesky load screens or menus to disctract you). But what was most interesting was when I was told Matt struggled with severe OCD and depression, and that this game was a way of sharing his experiences. I played the game and it certainly lived up to its name, but there was much more to it. Not only did I often feel frightened or anxious, I sometimes felt helpless, hopeless, and unsure what was reality and what is not. Many of the images in the game were disturbing, such as the player ripping out a tendon and vein in his arm. This, to me, is the beauty of Neverending Nightmare. It cleverly conveys the internal experience of struggling with a mental illness like OCD or depression. I had the change to speak with Matt after I played and he told me that many of the images in the game – such as the afore mentioned tendon-tearing – had been inspired and sometimes directly taken from the images, thoughts, and feelings he experiened during the darkest days of his struggle. He told me designing this game had helped him, in combination with medication and therapy, to overcome debiliting and terrifying symptoms. When I asked about how the game had been received (the psychologist in me worrying about trigging others with similar symptoms), Matt stated he had been overwhelemed with positive feedback from individuals finding a voice for their struggles in his game. Not only has Neverending Nightmare been an effective part of treament of Matt, his openness and willingness to discuss mental illness has been defying stigma and giving hope to others. If you want to know more about Matt, how he used game development to manage his symptoms, or about the game itself, Polygon has a fantastic in-depth article worthy of your attention. 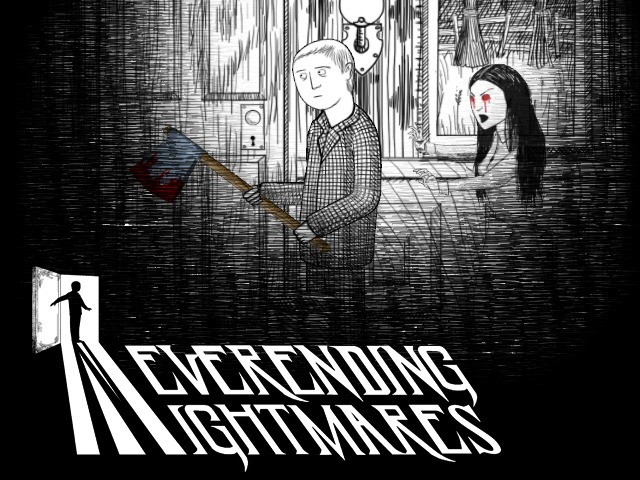 Neverending Nightmare is now available on Steam! Prev Article Review Video of Sexism in online video games: The role of conformity to masculine norms and social dominance by Fox and Tang.